Here are a few photos of my own that might give some of you a little inspiration. Here's Diana signing my OUTLANDISH COMPANION, at an appearance in Columbia, MD, in September, 2009. This was the first time we met in person. 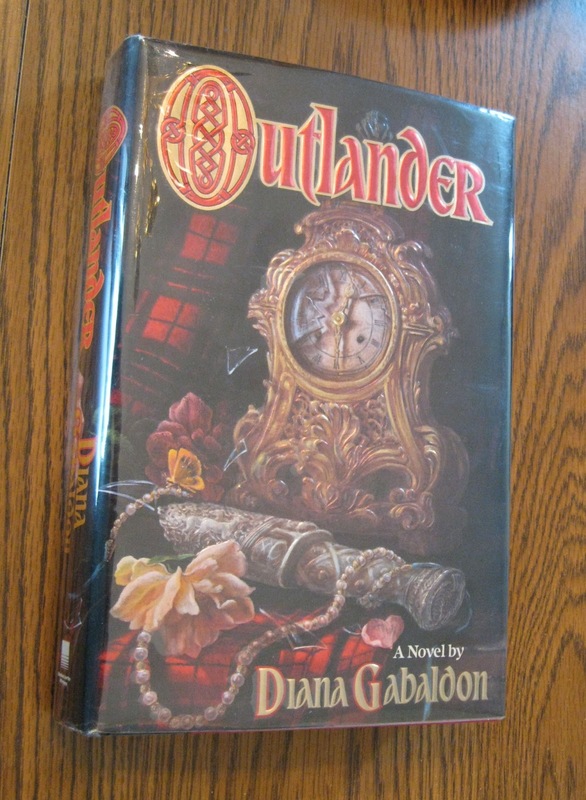 This is my OUTLANDER first edition hardcover, that I found on Amazon.com in February, 2013. And finally, here's a photo of my OUTLANDER bookshelves that I took last year. Two more cast members have just been announced for the OUTLANDER TV series, according to this TV Guide article. Stephen Walters will play Angus Mhor, and Annette Badland will play Mrs. FitzGibbons. Note that the article says, "Walters will play Angus Mhor, whose role in the books was much smaller, but will be expanded for the series." It will be interesting to see how that develops. I have no further details beyond what it says in the TV Guide article. Anybody know anything about these two actors? 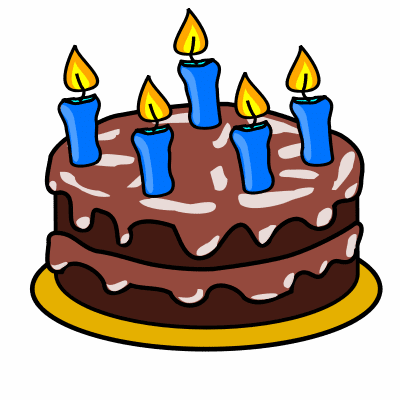 Five years ago today, I started Outlandish Observations! I had two goals in mind when I started this blog. The first was simply to learn about blogging. The second was to create a central repository for news and information geared toward OUTLANDER fans, a place where people could go to find answers to commonly asked questions, links to other OUTLANDER-related sites, and the latest information on Diana Gabaldon's new and upcoming releases. Special thanks to all of my followers on the Outlandish Observations Facebook page! Last year at this time I had 773 followers on Facebook. Today that number is 4,195 (!) I'm amazed and delighted that so many new people have found my site in recent months. Welcome, and I hope you take some time to look around and see what else is available here. The 2nd Annual OUTLANDER Photo Contest that I'm currently running is intended as a celebration of this 5th anniversary. I hope you'll consider sending in a photo if you haven't already! The deadline for entries is midnight Eastern time on Saturday, September 7. Many, many thanks to all of you who've visited the site over the past five years. It's been an amazing journey, and I'm so glad you've come along for the ride. While we're all waiting to hear who's going to be cast as Claire in the upcoming OUTLANDER TV series on STARZ, I thought this would be a good time to repost my "ABC's of Claire Fraser", which I first posted here in October, 2011. I got the idea from a writing exercise posted several years ago on Compuserve. The idea is to list one word pertaining to the character for each letter of the alphabet, along with a brief explanation. As you can see just from these brief examples, Claire Elizabeth Beauchamp Randall Fraser is a remarkably complex, multifaceted character. I'm not really surprised that it's taking the STARZ people a while to find the right actress to portray her! If you liked this list, check out my ABC's of Jamie Fraser. 1) A hussif (also called a "housewife") is a portable sewing kit. I had never heard the term until I read A BREATH OF SNOW AND ASHES. Jamie checked his saddlebags once more, though he had done it so often of late that the exercise was little more than custom. Each time he opened the left-hand one, he still smiled, though. Brianna had remade it for him, stitching in loops of leather that presented his pistols, hilt up, ready to be seized in an emergency, and a clever arrangement of compartments that held handy his shot pouch, powder horn, a spare knife, a coil of fishing line, a roll of twine for a snare, a hussif with pins, needles, and thread, a packet of food, a bottle of beer, and a neatly rolled clean shirt. The photo above shows what an 18th-century soldier's hussif looked like. For more photos, look here. Hussifs for soldiers tended to be smaller than a woman might make for herself. Inside would be found a selection of replacement buttons, for both the soldier’s uniforms and his civilian clothes, a packet of needles, a paper of pins, usually a thimble, and a notched length of wood or cardboard with a selection of threads wrapped around it in the notched sections. A small pair of scissors might also be included, though this was less common, as many soldiers carried a pocket knife which would serve the purpose of cutting threads. All of these items would be placed in the pockets of the hussif, then it would be rolled up, tied shut and slipped into the soldier’s pocket or his haversack. If you want to try making your own hussif, there are step-by-step instructions here. Here's a close-up view of the juice of the aloe vera plant. The afternoon sun was hot on the white limestone rocks, casting deep shadows into the clefts and hollows. I found what I was looking for at last, growing from a narrow crack in a giant boulder, in gay defiance of the lack of soil. I broke a stalk of aloe from its clump, split the fleshy leaf, and spread the cool green gel inside across the welts on Jamie’s palm. “They do.” I pulled down the neck of my bodice and spread a little aloe juice on my breast with a gingerly touch. The coolness brought relief at once. For more about the medicinal uses of aloe vera, look here and here. “I do. I think if I’d heard that outside my window, I’d have spent the rest of the night hiding under the bedclothes." 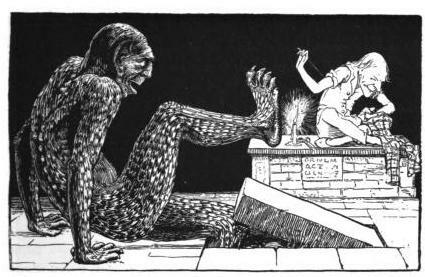 The story they're referring to is called "The Sprightly Tailor", by Joseph Jacobs (1854-1916). You can read the full story here. “If a woman’s blood is Rh-negative, and her husband’s blood is Rh-positive,” I explained, “then the child will be Rh-positive, because that’s dominant--never mind what that means, but the child will be positive like the father. Sometimes the first pregnancy is all right, and you don’t see a problem until the next time--sometimes it happens with the first. Essentially, the mother’s body produces a substance that kills the child." a full term male with severe RhD HDN [hemolytic disease of the newborn]. The baby died few hours after birth. Baby blood group is O RhD positive Mother blood group is O RhD negative....The OB/G specialist expected that this may happen, but as there is no intra-uterine transfusion in Baghdad, the baby had no chance to survive. For more about RhD incompatibility, look here and here. 5) Claire tells Roger in VOYAGER that the creature she saw in Loch Ness was probably a plesiosaur, a type of aquatic reptile that supposedly died out 65 million years ago, along with the dinosaurs This drawing, from Wikipedia, is an artist's recreation of what it might have looked like. A great flat head broke the surface not ten feet away. I could see the water purling away from keeled scales that ran in a crest down the sinuous neck. The water was agitated for some considerable distance, and I caught a glimpse here and there of dark and massive movement beneath the surface of the loch, though the head itself stayed relatively still. I stood quite still myself. Oddly enough, I was not really afraid. I felt some faint kinship with it, a creature further from its own time than I, the flat eyes old as its ancient Eocene seas, eyes grown dim in the murky depths of its shrunken refuge. And there was a sense of familiarity mingled with its unreality. The sleek skin was a smooth, deep blue, with a vivid slash of green shining with brilliant iridescence beneath the jaw. And the strange, pupilless eyes were a deep and glowing amber. So very beautiful. Here's a National Geographic video (about 45 minutes long, but very interesting) about the Loch Ness monster and various theories about it. Thanks to everyone who's sent in photos for my 2nd Annual OUTLANDER Photo Contest! I've received 49 entries so far, and I think they're terrific. It's going to be a great collection. There's still time to enter the contest! The deadline for entries is midnight Eastern Time on September 7, 2013. All you have to do is email a photo containing one or more of Diana Gabaldon's books, plus a brief description, to contest@outlandishobservations.com, with the subject line "OUTLANDER Photo Contest". Be sure to let me know if it's OK to post your photo online as part of the collection, after the contest is over. Look here for more detailed information. Please help me spread the word to other OUTLANDER fans. Thanks! Good news for Canadian fans: The OUTLANDER TV series will be on Showcase in 2014! Shaw Media picks up time travel series Outlander, slated to air in 2014 on Showcase. Sam Heughan (Batman Live) will star in the lead role of Jamie Fraser in the series adapted from Diana Gabaldon’s international best-selling books. Executive-produced by Emmy® Award-winner Ronald D. Moore, the 16-episode series begins filming in Scotland this fall. Thanks to Robyn Harney (@IamRobynNicole) on Twitter for letting us know! Robyn is a publicist for Sony Pictures TV who works closely with the OUTLANDER production team. Heughligans.com, the fan-site for all things related to Sam Heughan and his role as Jamie Fraser in the upcoming OUTLANDER TV series on STARZ, is raising money to fight blood cancer. The official charity for Heughan’s Heughligans is Leukaemia & Lymphoma Research (LLR). 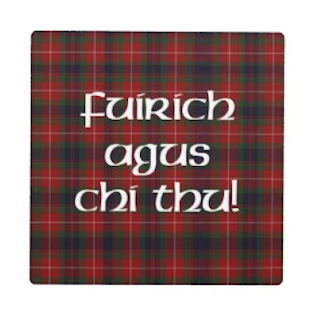 This is a charity that Sam has supported and raised money for several times in the past, and we are happy to be able to continue this beneficial campaign through #Heughligans. Sam and LLR are very excited that we will be working with them to raise money for a great cause! 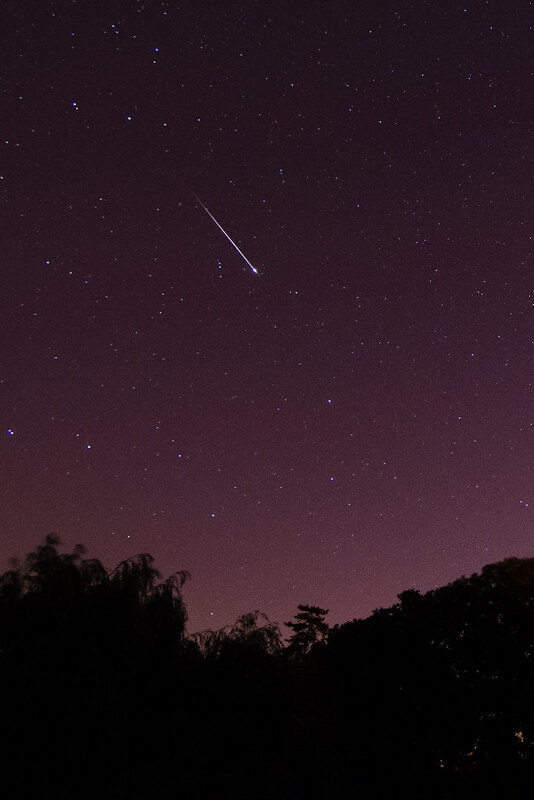 …watched the Perseids fall before the dawn twilight this morning, with V. and John. We lay upon the lawn, and counted more than sixty meteors within the space of an hour, at least a dozen very bright, with a visible tinge of blue or green. He repeated the sentence to himself, making sure he had it word for word. That was the only sentence on the page Hal had burned that mentioned himself by name; a nugget of gold. He hadn’t remembered that night at all, until the casual record brought it back: cool damp from the lawn seeping through his clothes, excitement overcoming the pull of sleep and the longing for his warm bed. Then the “Ah!” from his father and Victor—yes, “V.” was Victor Arbuthnot, one of his father’s astronomical friends. Was Arbuthnot still alive? he wondered. The sudden jerk of his heart at sight of the first shooting star—a brief and silent streak of light, startling as though a star had indeed fallen suddenly from its place. Every year, from around July 17 to August 24, our planet Earth crosses the orbital path of Comet Swift-Tuttle, the parent of the Perseid meteor shower. Debris from this comet litters the comet’s orbit....The bits and pieces from Comet Swift-Tuttle slam into the Earth’s upper atmosphere at some 210,000 kilometers (130,000 miles) per hour, lighting up the nighttime with fast-moving Perseid meteors. 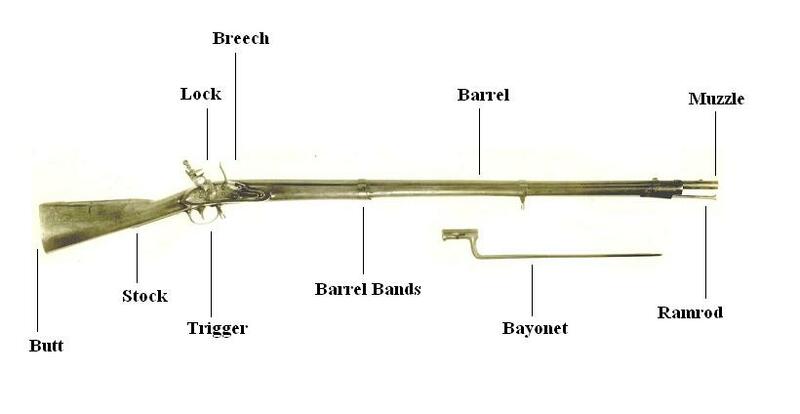 2) This illustration shows the parts of an 18th-century musket. Click on the photo for a bigger view. He let her fire the long musket when she asked, showing her how to load a new round: swab the barrel, patch the ball, ram home ball, patch, and wadding with a charge of powder from the cartridge; pour the rest of the powder into the priming pan of the flintlock. She did, and again, and again, growing used to the awkward weight of the weapon, finding the lovely balancing point of its length and its natural seat in the curve of her shoulder. It kicked less than she’d expected; black powder hadn’t the force of modern cartridges. Twice chips flew from the boulder; the third time the chunk of wood disappeared in a shower of fragments. “Verra nice,” he said, one eyebrow raised. “And where in God’s name did ye learn to shoot?" 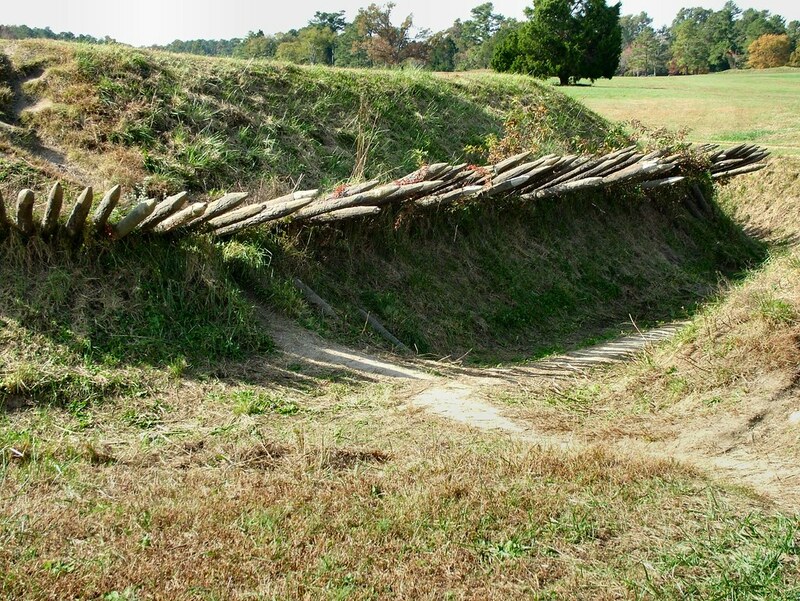 I recorded this video on a visit to Guilford Courthouse Battlefield in 2011. It shows a re-enactor firing a musket. For a detailed explanation of how a flintlock musket works, look here. 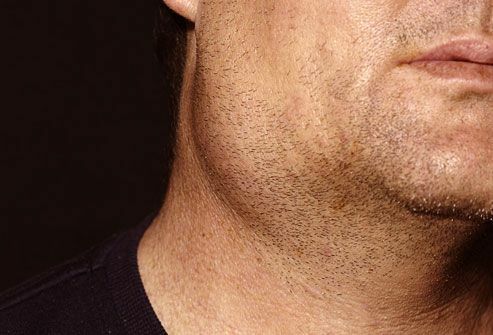 Mumps viral infections in adolescent and adult males carry an up to 30% risk that the testes may become infected (orchitis or epididymitis), which can be quite painful; about half of these infections result in testicular atrophy, and in rare cases sterility can follow. spread by droplets of saliva or mucus from the mouth, nose, or throat of an infected person, usually when the person coughs, sneezes, or talks....In addition, the virus may spread when someone with mumps touches items or surfaces without washing their hands and someone else then touches the same surface and rubs their mouth or nose. I've never had mumps myself, but my older brother came down with it on his 8th birthday in 1969. 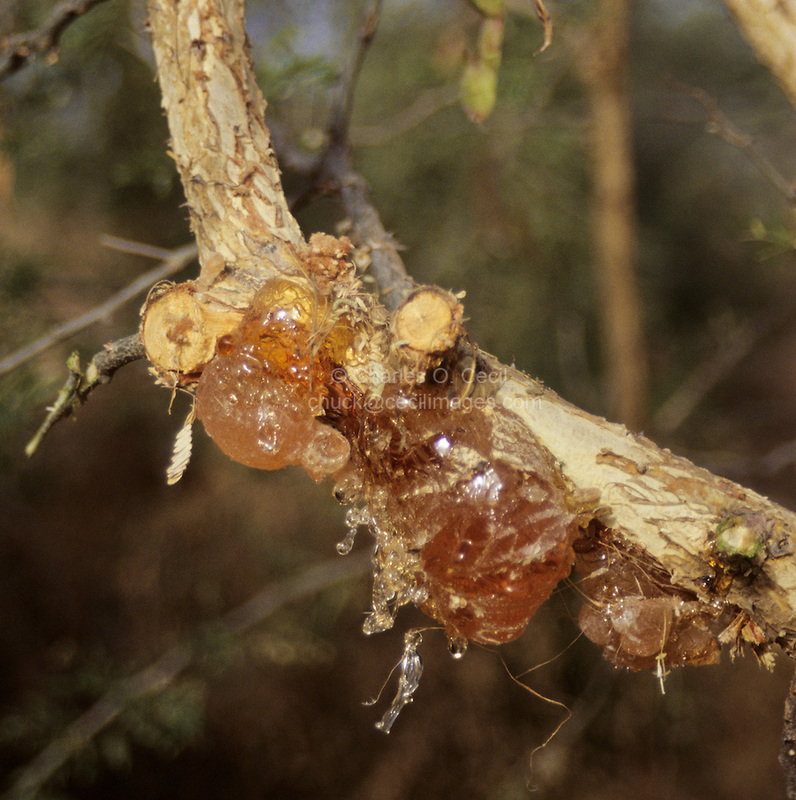 4) This photo, from Wikipedia, shows what gum arabic looks like. I opened the jar of gum arabic and, scooping out a bit into the palm of my hand, dribbled water into it and set about fashioning the resultant gooey ball into a roughly cylindrical plug, which I wrapped in a scrap of yellow calico printed with honeybees, finishing it off with a neat twist at the top. 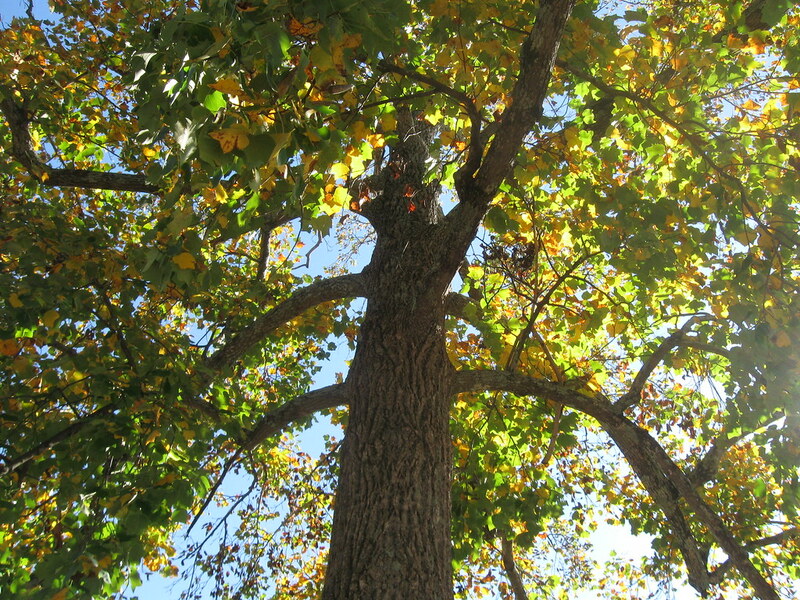 Gum arabic comes from the sap of the acacia tree. It is produced today mainly in the Sahel region of Africa, particularly in Senegal and Sudan. Its widespread commercial use (as an ingredient in soft drink syrups, candy, and watercolor paints, among other things) makes it a valuable commodity. This photo by Charles Cecil shows gum arabic on a branch of an acacia tree. For more information about gum arabic, look here. 5) Remember Roger telling Bree about the time he spent on a herring boat as a teenager? Here's a documentary from 1947 about the Scottish herring fleet. The first part of this 15-minute video shows what it was like to work on one of those boats. As you watch this, imagine Roger, circa 1955, age fifteen or so. You may be familiar with the song "Shoals of Herring", which is about those same Scottish herring boats. Here is a version I found on YouTube, sung by Robert Lawrence. I like the photos interspersed with the video. You can see more photos of 1950s-era herring boats here. Do you have a favorite photo of your OUTLANDER book collection? Why not enter the 2nd Annual OUTLANDER Photo Contest? Look here for more detailed information. Contest ends on September 7, 2013. Many thanks to those of you who have already sent in photos. I've received 26 entries so far and I am hoping for many more before the contest ends on September 7. Please help me spread the word to other OUTLANDER fans. Thanks! “Polecats only stink,” I explained. “Skunks--Ian, no! Let it alone, and come inside!” Ian, curious, had reached out and prodded the skunk with his poker. The skunk, offended at this unwarranted intimacy, stamped its feet and elevated its tail. In the British Isles, the polecat historically has had a negative reputation. References to the polecat in early English literature are often vilifying, usually being synonymous with prostitutes and generally immoral people, as is the case in Shakespeare's The Merry Wives of Windsor: "Out of my door, you witch, you hag, you baggage, you polecat, you runyon!" In some rural areas, the belief persists that the polecat chews off the ears of sleeping sheep and can paralyse or kill men by jumping on them from behind and biting their necks. For more about polecats, look here and here. 2) Here's an example of what an 18th-century man's wig might look like. MacDonald’s red coat was spread over the back of a chair to dry, steaming in the heat. His wig, damp and disheveled from Rollo’s attack, hung on the cloak peg above it. I got up hastily and possessed myself of the wig, receiving a look of puzzlement from the Major, and one of green-eyed hostility from Adso, who plainly considered it low of me to hog this desirable prey for myself. “Er...I’ll just...um...put it somewhere safe, shall I?” Clutching the damp mass of horsehair to my bosom, I sidled outside and round to the pantry, where I tucked the wig safely away behind the cheese with the phosphorus. Louis XIV was only 17 when his mop started thinning. Worried that baldness would hurt his reputation, Louis hired 48 wigmakers to save his image. Five years later, the King of England--Louis’s cousin, Charles II--did the same thing when his hair started to gray (both men likely had syphilis). Courtiers and other aristocrats immediately copied the two kings. They sported wigs, and the style trickled down to the upper-middle class. Europe’s newest fad was born. This illustration from Denis Diderot's Encyclopédie (published in the 1750s) shows a number of different styles of men's wigs. For more examples, see this page from the Colonial Williamsburg site. They’d finished the place, and very nicely, too. 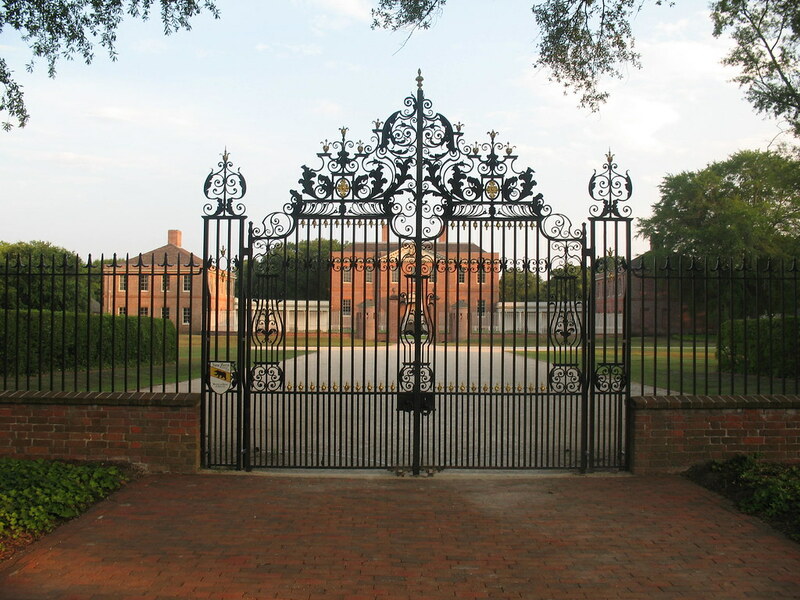 William Tryon, the previous governor, had built the Governor’s Palace, but had been sent to New York before construction had been finished. Now the enormous brick edifice with its graceful spreading wings was complete, even to the lawns and ivy beds that lined the drive, though the stately trees that would eventually surround it were mere saplings. The carriage pulled up on the drive, but we did not--of course--enter by the imposing front entrance, but rather scuttled round the back and down the stairs to the servants’ quarters in the basement. In May 1775, when the American Revolution began, Governor Josiah Martin fled the mansion. Patriots seized the Palace and converted it into the State capitol building. The first general assemblies were held there and many of the furnishings were auctioned by the newly-formed state government....After Raleigh was founded as the capitol in 1794, the Palace was used for many different purposes, including a school, boarding house, and a Masonic lodge. A cellar fire started in 1798, consuming the Palace proper. Only the Kitchen and Stable Offices were saved. 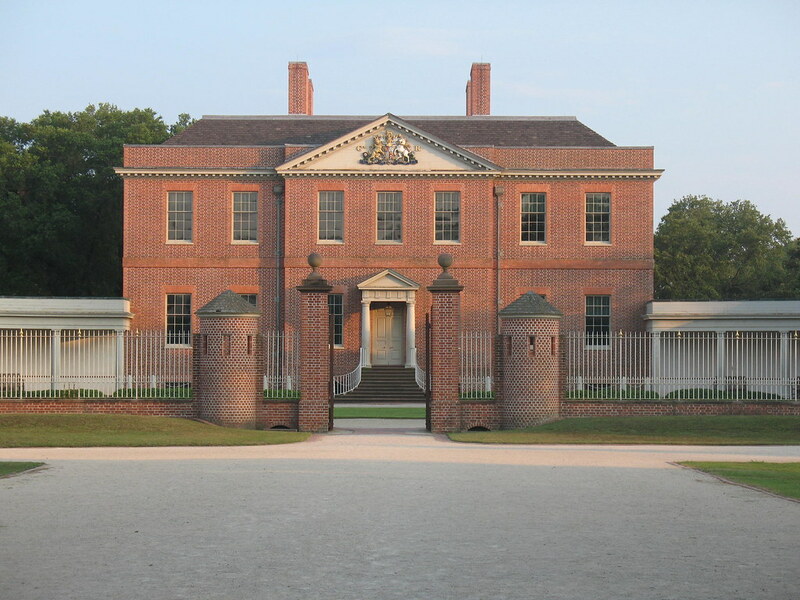 Tryon Palace was completely restored in the 1950's. I've never been there myself, although I've been meaning to visit for some time. Have any of you been there? A standardized hogshead measured 48 inches (1,219 mm) long and 30 inches (762 mm) in diameter at the head (at least 550 L or 121 imp gal; 145 US gal, depending on the width in the middle). Fully packed with tobacco, it weighed about 1,000 pounds (454 kg). This illustration from Jamestown, Virginia, shows the size of a hogshead of tobacco. Sitting down on a keg of tar, I leaned back against a big hogshead of tobacco, yawning and wondering idly why it was called that. It did not appear to be shaped like a hog’s head, certainly not like the head of any hog I knew. Most sources agree that the word hogshead dates to the Late Middle English period (1350–1469). Reasons behind the construction of the word remain less clear. One common theory focuses on the shape of the barrel, which resembles a hog’s snout. Another theory revolves around the word’s development and progression through different languages. Names for casks in several Teutonic, or Germanic, languages include oxhooft, oxehoved, and oxhufvod. It is, therefore, possible that the word originated as “oxhead.” The current word might have come from mispronunciations of the original. “I can’t,” said Brianna. Jamie stared at her, taken aback. “Of course ye can.” Jamie frowned. “Here, it’s simple, lass--anyone can do it!” He stuck out his own tongue again, rolling and unrolling it like a paternal anteater, anxiously encouraging its offspring toward an appetizing mass of insects. We must conclude that most of the variance in these traits arises from the specific environmental influences and chances that affect the individual. What about the rest of you? Can you roll your tongue, or are you like Bree and Roger and me, unable to do it? More casting news for the OUTLANDER TV series! 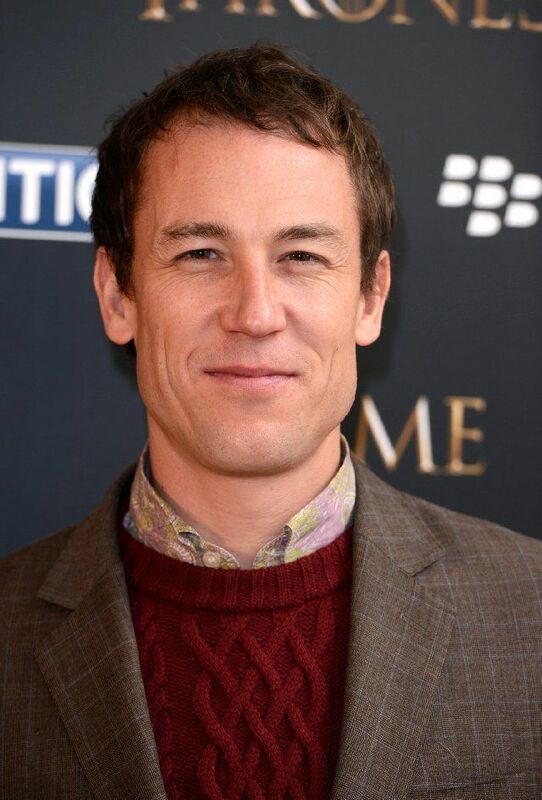 British actor Tobias Menzies (pictured above, from IMDB) has been chosen to play the dual roles of Frank Randall and Jonathan (Black Jack) Randall. Some of you may know Menzies from his work on "Game of Thrones", where he played Edmure Tully. I know him best as Brutus in HBO's "Rome". I thought he was terrific in that role, and I can't wait to see what he'll do with Frank/BJR. The official press release is here. For more about the OUTLANDER TV series, see my FAQ page here. Some people were talking about quaichs yesterday on Compuserve. A quaich is a two-handed drinking bowl, used in Scotland for centuries. There was a lessening of the tension over the hall, and almost an audible sigh of relief in the gallery as Colum drank from the quaich and offered it to Jamie. The young man accepted it with a smile. Instead of the customary ceremonial sip, however, he carefully raised the nearly full vessel, tilted it and drank. And kept on drinking. There was a gasp of mingled respect and amusement from the spectators, as the powerful throat muscles kept moving. Surely he’d have to breathe soon, I thought, but no. He drained the heavy cup to the last drop, lowered it with an explosive gasp for air, and handed it back to Colum. 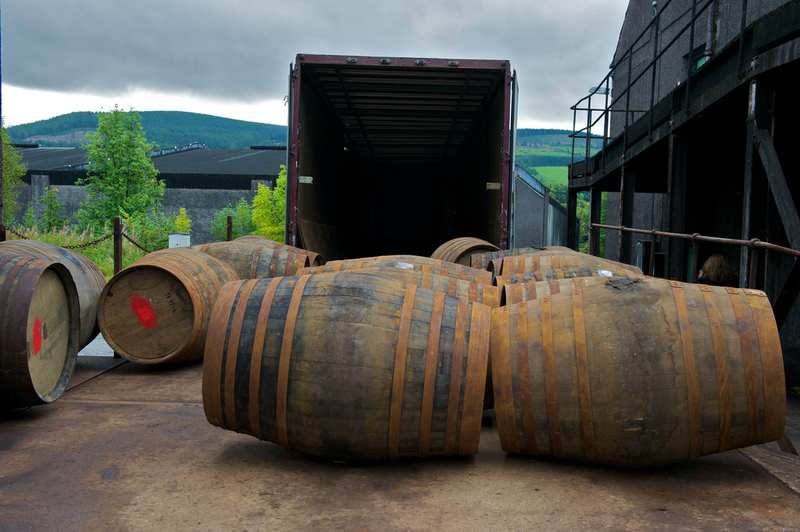 “The honor is mine,” he said, a little hoarsely, “to be allied with a clan whose taste in whisky is so fine." Quaichs come in a variety of different sizes and styles, and I thought you might like to see mine. This is the quaich I bought in Inverness last summer. (I spent a week in Scotland on the Celtic Journeys OUTLANDER Tour. You can see my blog posts about the trip here.) It's about four inches in diameter. The clerk in the shop said the yellow stones in the handles are probably colored glass, but they remind me a bit of topaz, which is my birthstone. My quaich is filled with an assortment of small colored stones. I like to pretend it's my own small cache of gemstones, ready in case I need to time-travel on short notice. <g> But really, I just like the way they look. Do any of you have quaichs? Zazzle.com is having a sale on t-shirts and bags through midnight Pacific time on Wed., August 7. Buy any T-shirt or bag and get 50% off the sale price when you use the code SHIRTBAGDEAL at checkout. These are just two examples of the styles you can choose from. 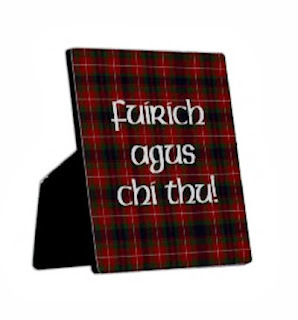 Check out the rest of my OUTLANDER-themed products in my Outlandish Observations Zazzle store. 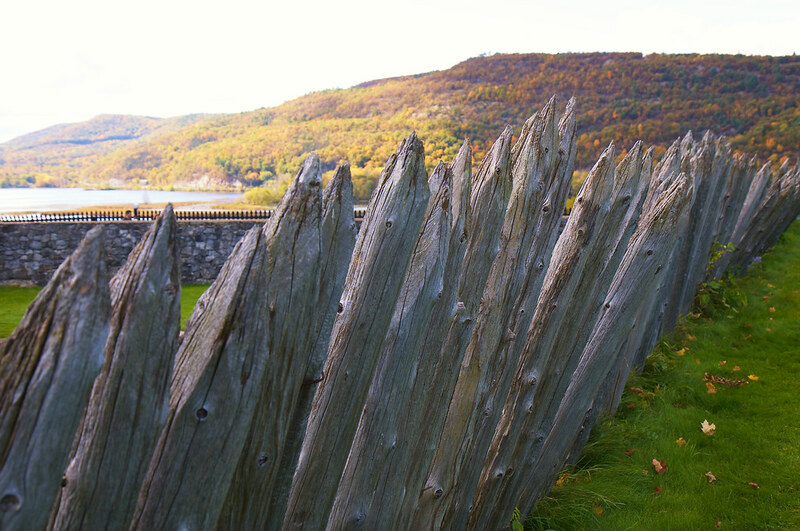 The 2nd Annual OUTLANDER Photo Contest is off to a good start! I've received 13 entries so far, and I'm hoping for many more. Please help me get the word out to as many of Diana Gabaldon's fans as possible. Thanks! I just found out about a new site, outlanderwiki.org, which is a Wiki page specifically devoted to all things related to the upcoming OUTLANDER TV series on STARZ. The site will eventually include an episode guide, information on all the cast members, etc. It looks like it will be a great resource for viewers of the TV series. The Outlander television series is an adaptation of the Outlander novels but will deviate from them in some areas. In addition this wiki is meant for the enjoyment of television viewers who do not have any knowledge of the books. For this reason, spoilers and events from the books are not permitted on entries in this Wiki. Information from the books can be added to entries once the TV series has reached the same point in the story. Please take a few minutes to check it out!